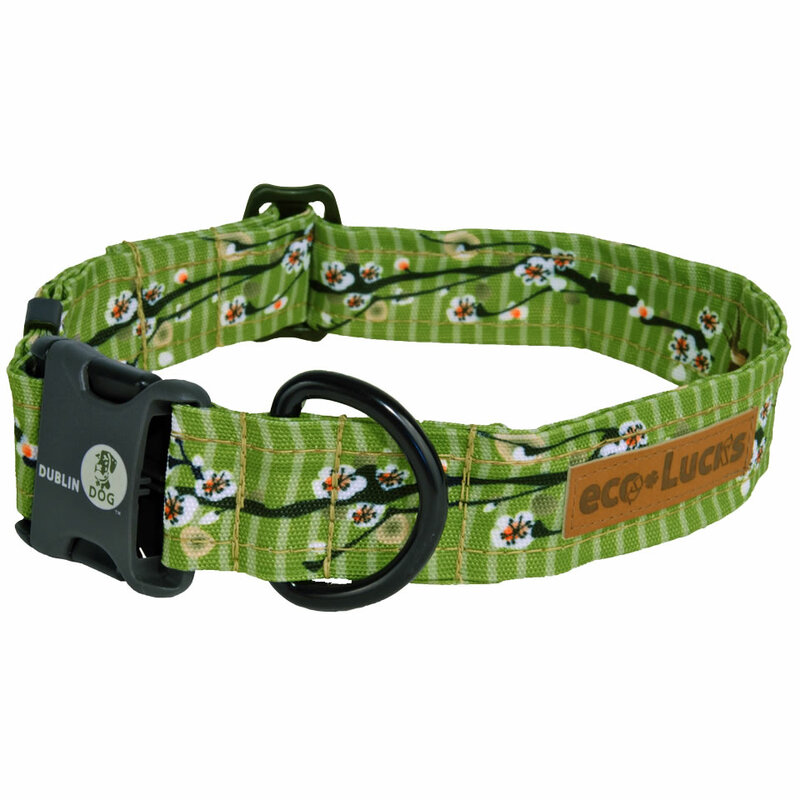 The Dublin Dog eco-Lucks Dog collar is available in a variety of styles and colours. All made from 100% recycled plastic bottles, these collars are keeping 1.5 bottles out of landfill sites and are a real eco-friendly choice! The collar hardware is coated in a special material that makes it waterproof and tough. 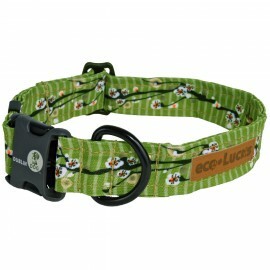 Water based inks are used to create the unique designs for these eco-Lucks collars and therefore contain no horrible chemicals. Dublin Dog guarantee all of their products against defects in material and workmanship. Please note that these collars are not intended for tie-outs. Damages due to the use of a tie-out do not apply to this guarantee.